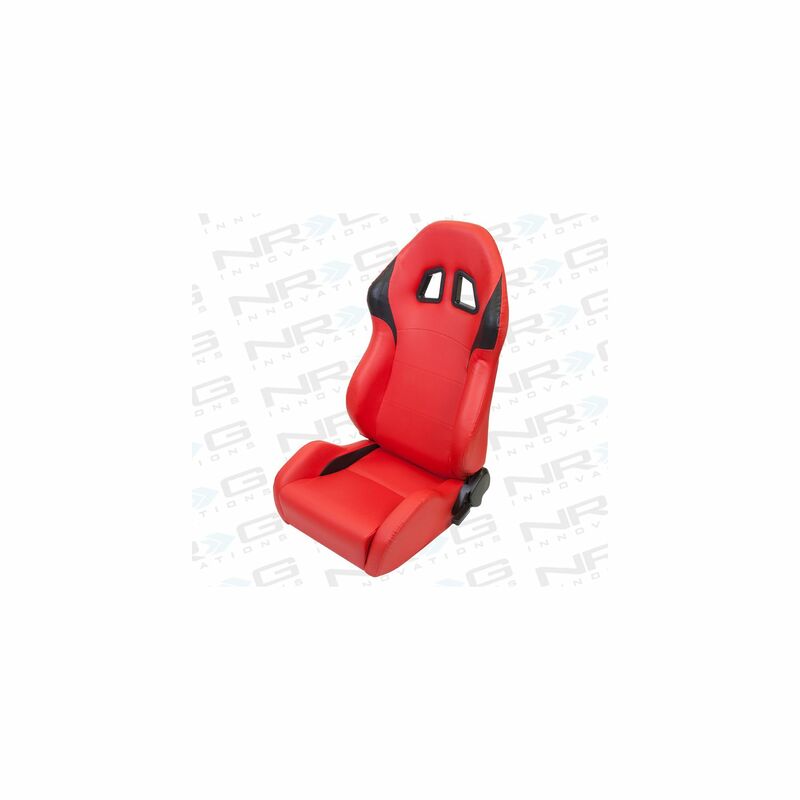 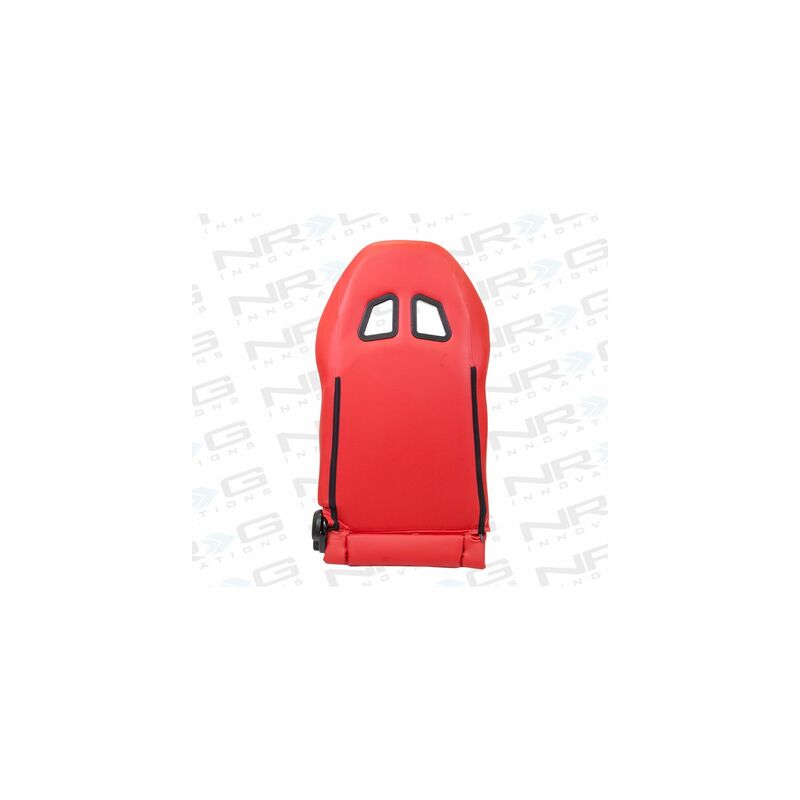 NRG Innovations Right Red PVC leather Sport Racing Seat with Black Trim (RSC-202R) is designed with the best of comfort and styling in mind. 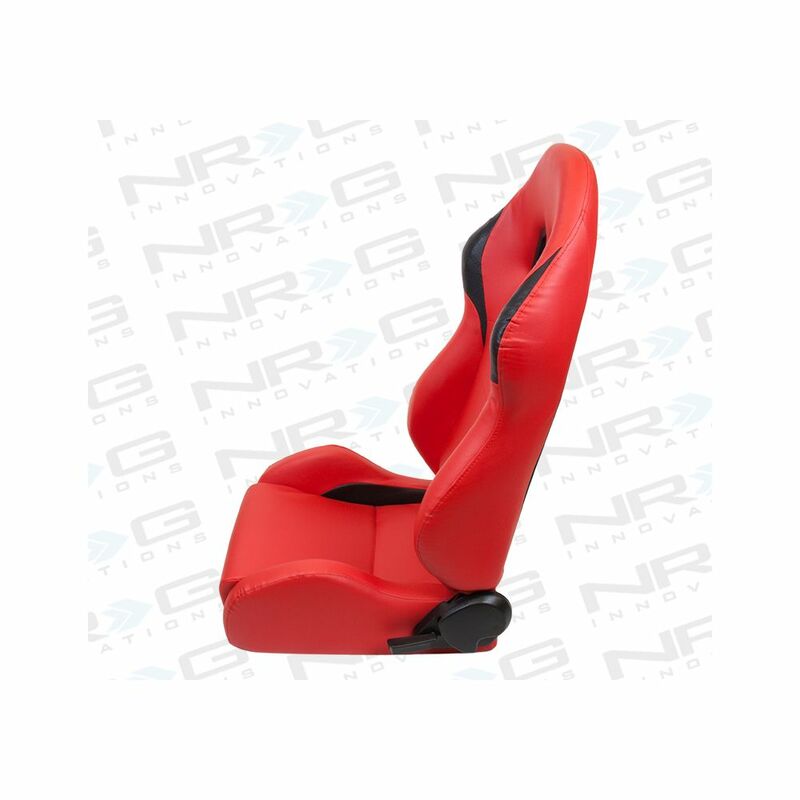 This seat improve the look and performance in any vehicle. 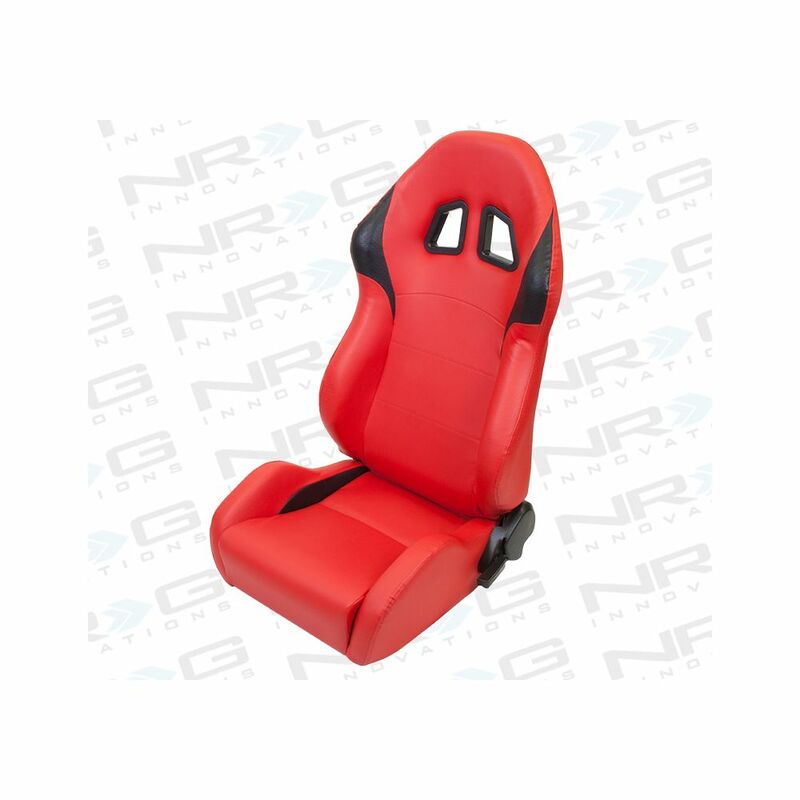 Great lumbar support and holding feel as opposed to the stock seat. 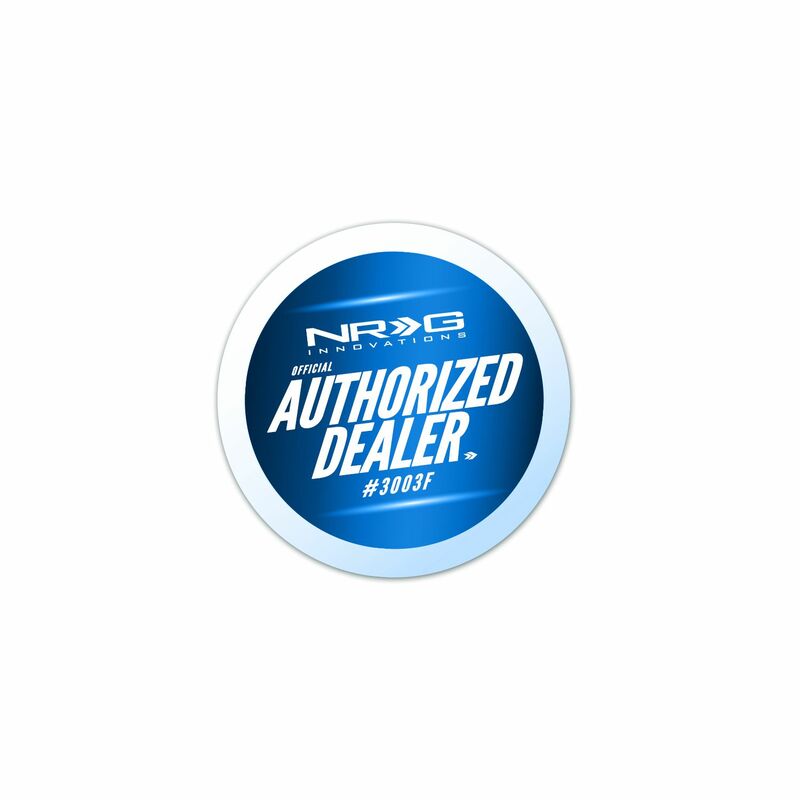 Made of high quality materials to withstand daily use. 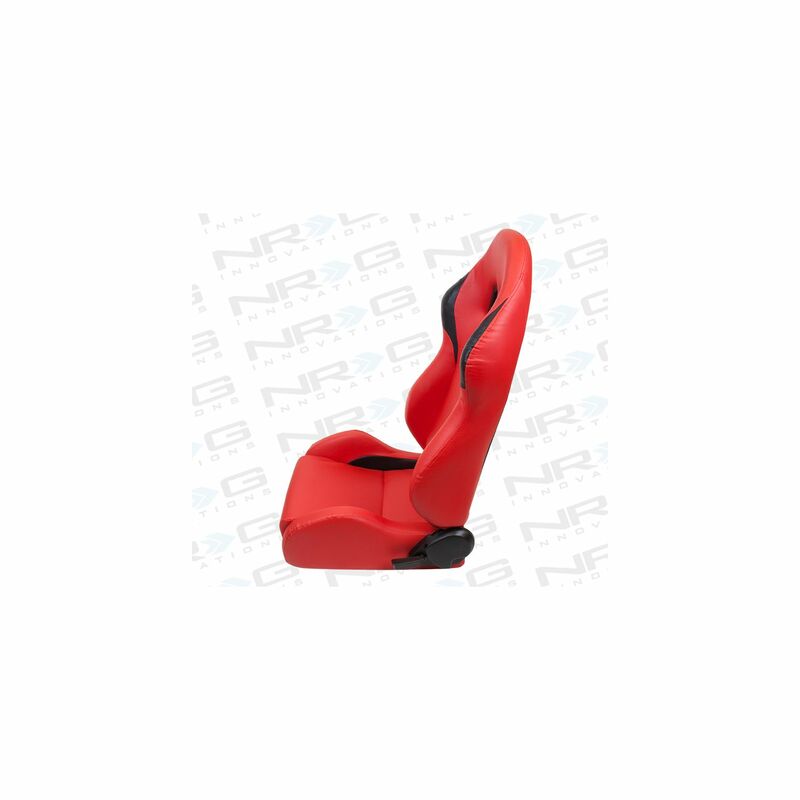 One can be assured of a great comfortable ride. 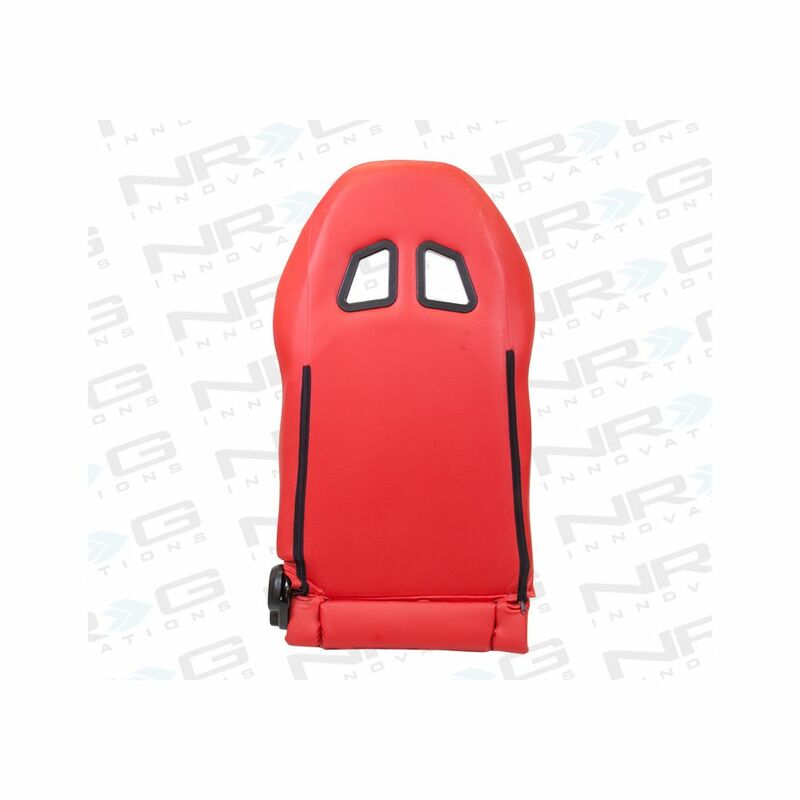 Each specific seat has different hole patterns to allow use of different types of harnesses for that added safety. 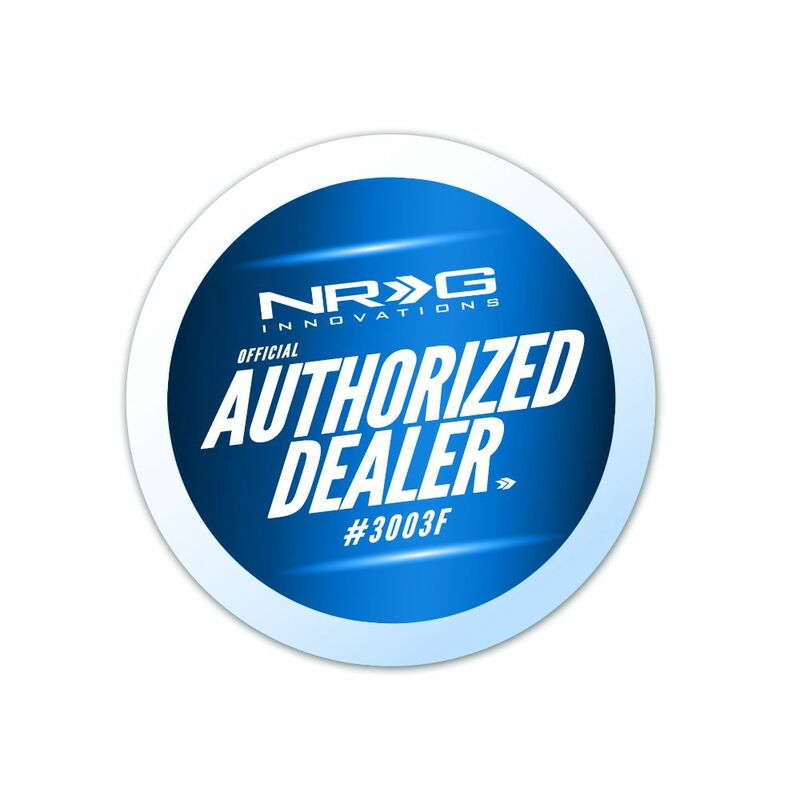 Bracket is needed for the complete installation.